This post arises out of a comment by Nate on “Who We Were” (the post rather than the page version). He asked: “is there anything written about the context that Big Flame comes out of, the time period in the UK in general and the left in particular.” My initial was there isn’t any book that covers this. On further reflection, I realise there are very many books that could be mentioned. Just that each touches on a single aspect of the context. Today the term “libertarianism” has been appropriated by the right or, if not them, the Frank Furedi current (LM / Spiked). There are contemporary successors of the movement I want to talk to talk about – libertarianism of the 1960s and 1970s – in the green and peace movements and elsewhere. However, these don’t seem to adopt the term “libertarianism”. I am not saying that all these movements were entirely composed of libertarian Marxists. There were clearly others involved – anarchists, members of Trotskyist groups, the Communist Party, etc. But I don’t believe that in the 1960s and 1970s at the core of many of these struggles/initiatives you would have found libertarians. 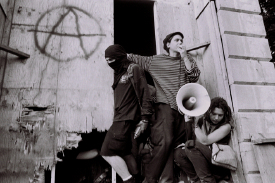 From out of the strands, some of the members of Big Flame emerged (not all – some were previously members of Trotskyist, Maoist and anarchist groups). As did, but going in an entirely different direction, those who formed the Angry Brigade. Below is an initial list of some relevant reading. It reflects things I’ve bought and read, and the fact that I‘m much less in touch with what has been published in the last 20 years. I certainly wouldn’t claim that it covers all the significant movements of the period. The absence of references on/from the women’s and black movements are only the most obvious examples. Where I know a member/s of Big Flame were involved in the struggles/initiatives I will mention this. CSE State Group Struggles over the State: Cuts and Restructuring in Contemporary Britain (CSE Books, 1979). – Takes a broader approach that most of the other left literature on the crisis from the 1970s e.g. chapters on education, housing, health, etc. The conclusions are somewhat vague reflecting political differences within the editorial group. There is a voluminous literature on the political and social history of the 1960s, with a slower flow, mostly journalistic, on the 1970s. In the last few months, there have been two additions – Andy Beckett When the Lights Went Out: Britain in the Seventies and Alwyn W. Turner Crisis What Crisis? Britain in the 1970s. I have read either, so I can’t make a recommendation. David Widgery The Left in Britain 1956-68 (Penguin, 1976). – Despite a major over-representation of material from Widgery’s own group International Socialists (who became the Socialist Workers Party), the chapters on Student Politics and 1968 reveal the chaotic diversity of the left at the time. The book is also very funny. 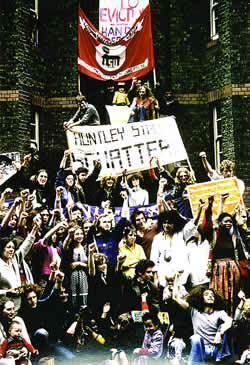 Peter Shipley Revolutionaries in Modern Britain (Bodley head, 1976). – Written by someone unsympathetic to the left and in many ways flawed. Still the only book I know which seeks to cover the full diversity of the left. There are better books if you focus on specific tendencies e.g. John Callaghan British Trotskyism: Theory and Practice (Basil Blackwell, 1984). Lynne Segal “A Local Experience” in Sheila Rowbotham, Lynne Segal and Hilary Wainwright Beyond the Fragments (Merlin, 1979). – Discusses rather briefly initiatives in Islington, north London including a Women’s Centre and a local newspaper. Some of those involved were later members of North London BF. Some of the same ground is covered in the section “Life as Politics” in her book Making Trouble (Serpent’s Tail, 2007). See also Chris Whitbread (below). Cynthia Cockburn The Local State: Management of Cities and People (Pluto, 1977). Despite the then fashionable Althusserian theoretical framework, contains interesting information on struggles in Lambeth, south London. Members of South London BF were involved. Jan O’Malley The Politics of Community Action (Spokesman Books, 1977). 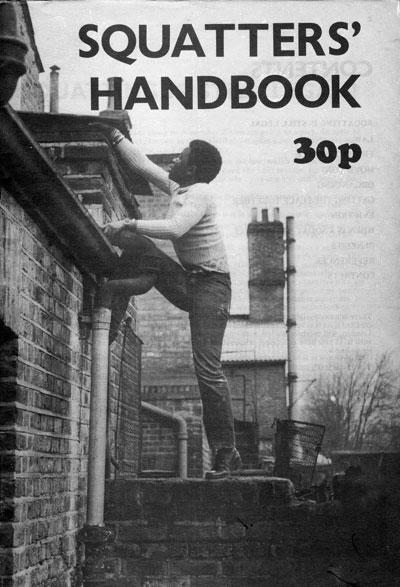 – An account of struggles in Notting Hill, west London, mostly around housing. Someone who was later in West London BF is thanked in the Introduction as involved in the activities described. Nick Wates The Battle for Tolmers Square (Routledge and Kegan Paul, 1976). – A very detailed account of struggles against property speculators in Somers Town, north London. – Interview accounts of a large number of projects which as Sheila Rowbotham says in her Introduction opened up a precious political space. As well as those mentioned below the sections include ones on Release, a Law Centre, Women’s Aid and a Disability Income Group. – A wonderfully illustrated and detailed account of the whole movement. Jim Radford “The point of a battle is to win it” in Helene Curtis & Mimi Sanderson The Unsung Sixties : Memories of Social intervention. – On the Family Squatting campaign. – Draws a lot on the authors involvement in the Newton Abbott Claimants Union in the early 1970s. Joe Kenyon “I was in the natural way of trying to put something right that was wrong, see” in Helene Curtis & Mimi Sanderson The Unsung Sixties : Memories of Social intervention. – On the Union in Barnsley and beyond. – The main focus of the article is Islington Gutter Press, but Community Press, a print workshop, and Islington Socialist Centre are also mentioned. I am not aware of anything written about local community newspapers. Therefore these books on the national Underground press must suffice. Nigel Fountain Underground: The London Alternative Press 1966-74 (Pluto, 1988) provides accounts of all the main national Underground publications. Jonathon Green’s two book (one a set of interviews, the other his own discussion) Days in the Life: Voices from the English Underground (2nd ed Pimlico, 1998) and All Dressed Up: the Sixties and Counter Culture (Pimlico, 1999) covers publications like Friends and Ink. Many BF (future or then current) members worked on local community papers. As well as Islington Gutter Press, they include Manchester 11, Ned Gate/Nell Gate and Bush News. The first series Big Flame newspaper in Liverpool can be regarded as a local community paper. The Underground and Alternative Press in Britain from Harvester Press (already mention in Episode 1 of the Big Flame History series as a place to find the newspaper of that name) has a lot of the source material on microfilm or microfiche. Not just Friends, Ink and IT but local publications like Manchester Free Press, Mole Express, Leeds Other Paper, Hackney People’s Press and Nottingham Voice. Anon “Grant Aid and Political Theatre 1968-77 Part 1 Wedge no1 Summer 1977 and Part 2 Wedge no 2 Spring 1978. – About a lot more than just Grant Aid. Includes the author’s views on the differences between reformist and revolutionary theatre. Newsreel Collective “Newsreel Collective: Five years On” Wedge no3 Winter 1978. – Written by the Agit prop documentary film group. Early version of the collective included 2 members of BF. Within a few years, one left BF and the other Newsreel. Jane Clarke & Rosie Elliot “The Other Cinema: Screen Memory” Wedge no 2 Spring 1978. – Written after the collapse of the film distribution and exhibition collective, the article aims to learn from the experience. “Revolutionary Household Rotas” in Lynne Segal Making Trouble (Serpent’s Tail, 2007). – Discusses collective living arrangements. – A sociological study which brings out the political and religious diversity of communes (e.g. one consisting of Young Liberals). Another book by the same author Communes in Britain consists of more detailed case studies. In addition there is a enormous literature from the women’s (and men’s) movement on relationships. The above list is bound to leave out a lot of important books. Please tell what I should have included. (i) Do the various strands I have mentioned have sufficient in common to bear description as a milieu, or going even further a movement? Or should I have adopted a narrower interpretation of the libertarian left? (ii) If there is something in common, what were the core ideas which many of the people involved? (iii) Am I right in thinking that the influence of libertarianism declined as the 1970s moved into the 1980s? (iv) If it did, what were the reasons – the impact of the national Thatcher government? the revival of the traditional left?